September 3 is the founding day of Srjan. 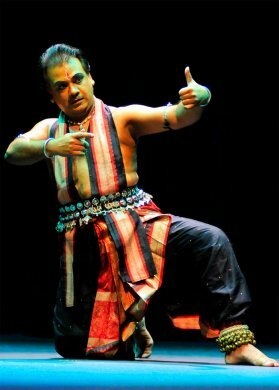 As Srjan gears up to conduct the 23rd edition of the Guru Kelucharan Mohapatra Award Festival from September 5 to 9, 2016 at Rabindra Mandap, Bhubaneswar, its director Guru Ratikant Mohapatra shares his thoughts as an organizer and choreographer. In a place that has dance programs and festivals through the year, what do you think makes GKMA Festival special / stand out from the rest? The popularity of our festival can be gauged by the near riot conditions outside the hall among those who do not have invitation cards. Over the years the audience has had a taste of the meticulous preparations made for every minute of this five day festival. The audience keeps coming back, in overflowing numbers, because they have experienced the “perfectionist” attitude of our organization.